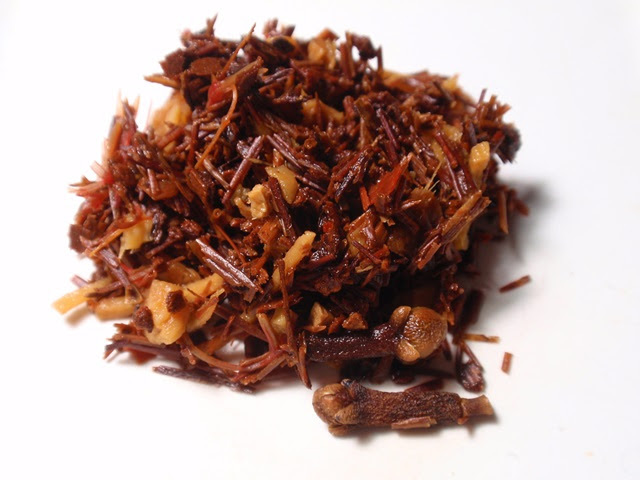 The dry blend has an aroma of coconut, vanilla, ginger, cinnamon, and cloves. 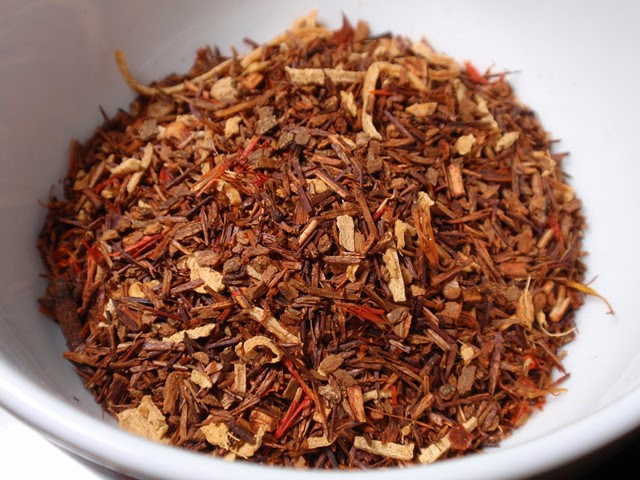 The bright orange infusion has an aroma of coconut, sweet rooibos, and spices with cinnamon and clove being most prominent. The taste has elements of creamy coconut with a spiciness that hits at the back of the palate. This is a interesting blend where the taste of coconut and rooibos are most defined at the front of the mouth while the spices all pop at the back. 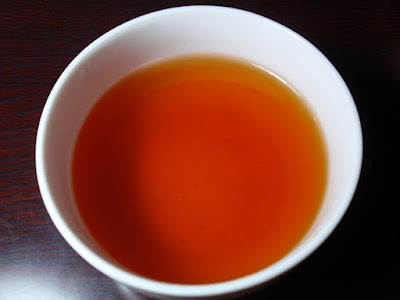 I was able to get two flavorful infusions by steeping the first for 5 minutes and the second for 3 minutes. A third infusion provides very little flavor.